In the Docks Project, middle school students learned about what goes on underneath the docks in our community by studying water quality, plankton and marine invertebrates. 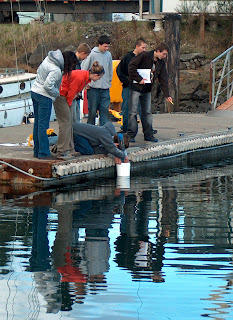 Students did research and experiments about marine water quality and factors contributing to the recurring low dissolved oxygen events in Hood Canal. 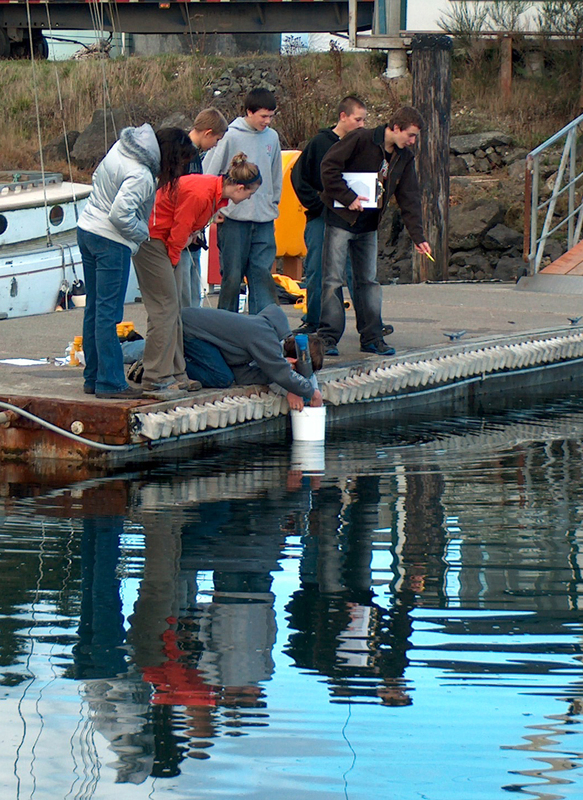 Classroom work complemented dock monitoring in the field so students could participate in investigative science, increasing their understanding of water quality in relation to local geology, currents, climate and weather changes, and shoreline land use. During dock monitoring, they looked for invasive species like tunicates and become aware of the threat they pose to nearshore habitats in the Puget Sound area. 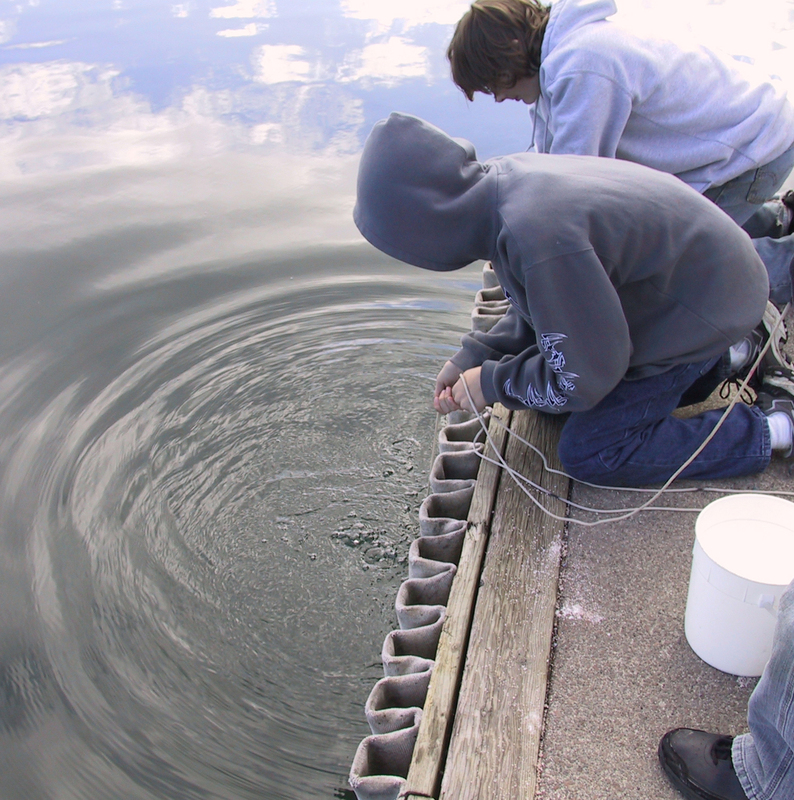 The project was done in partnership with the Port of Port Townsend, Jefferson County Soil Conservation District, Jefferson County Health Department and the Hood Canal Dissolved Oxygen Program. This is one of 30 reasons to give $30 to celebrate 30 years. Or increase your impact and give more. All funds support the Future Fund to keep the PTMSC going strong. Donate online or call (360) 385-5582, ext. 104, or send a check to 532 Battery Way, Port Townsend, WA 98368.